Zanele Mthembu boasts over 20 years of experience in television, film production and broadcasting. She has a diverse expertise, gained through her work in local, regional and international markets. Zanele brings a robust understanding of the business–from concept to production to local and global distribution. As the founder of Brown Panther Films, Zanele is committed to building local production capacity and a pipeline of industry talent in South Africa. She is the resident Head Mentor at the ZA Media Incubator (ZAMI), a programme of the eAcademy, where she is empowering young television graduates to realize their visions by helping to strengthen their business, legal and financial understanding of the industry. 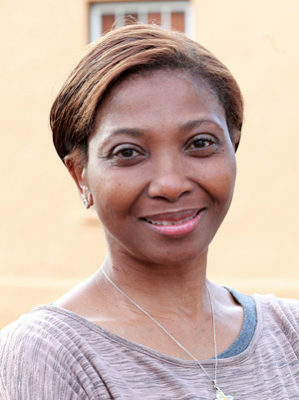 Zanele started her career in television and film in 1993 at Penguin Films, one of the leading independent production companies in South Africa. In 1995 she was competitively selected as the Discovery Communications International Fellow. Over nine years she worked across multiple business units with responsibility for projects and external producers across all Discovery Communications networks. In 2005 Zanele joined South Africa’s first free-to air channel, e.tv, as Executive Producer for local content, spanning various genres. Promoted to Head of Local Programming in 2006, she had managerial oversight of the business unit’s operational and production budgets, sourcing and managing staff and other resources to meet business needs.